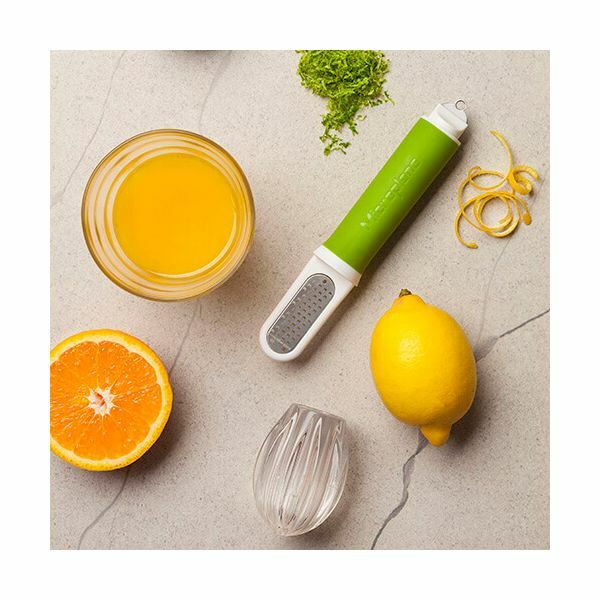 The 3 in 1 Microplane Twist & Zest tool allows citrus fruit to be juiced, grated and stripped. The head of the tool pushes into the flesh of the citrus fruit, allowing the juice to be extracted with a twist. For zesting the fruit, the head of the tool can be removed to reveal a zester. 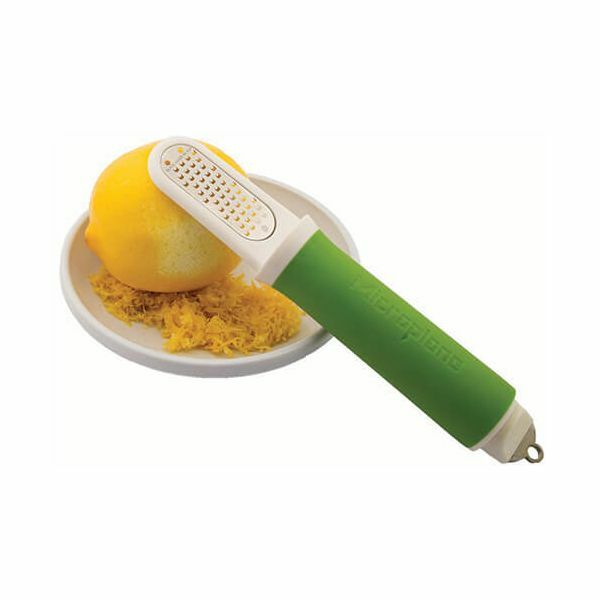 At the end of the handle is a small channel blade for cutting fine strips of skin from the lemon or lime for colourful garnishes in drinks, desserts and meals. The handle provides a firm and comfortable grip when in use and stores safely when not in use. 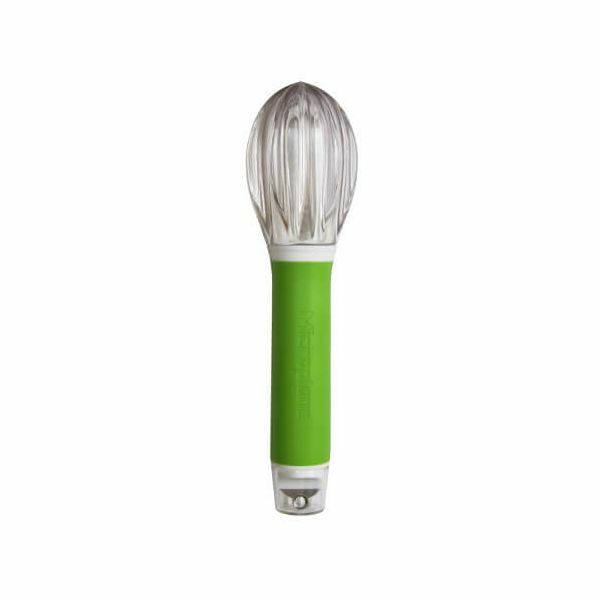 The 3 in 1 Twist & Zest tool is suitable for dishwasher cleaning for easy and convenient cleaning.